Sara Ali Khan, who has a crush on Kartik Aryan, will finally be seen in Imtiaz Ali’s Directorial film Love Aaj Kal 2. Currently, both the stars are shooting for the film and somehow their pictures and video have made its way to social media. Recently, there one of the videos went insanely viral in which they are seen riding a bike on the streets of Delhi. In the video, Kartik is seen wearing a helmet but not Sara. This irked the netizens and asked why she is not wearing a helmet. Well, the Simmba actress was trolled for breaking the traffic rules by not wearing a helmet. 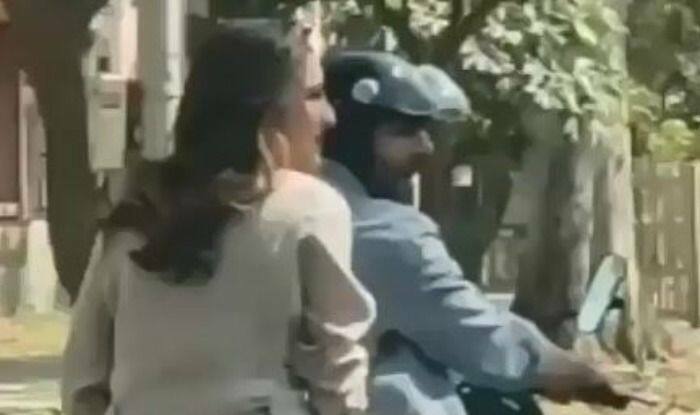 In the video, Kartik can be seen riding the bike while Sara sits comfortably behind him. Kartik constantly talks to the people around while Sara looks blank.